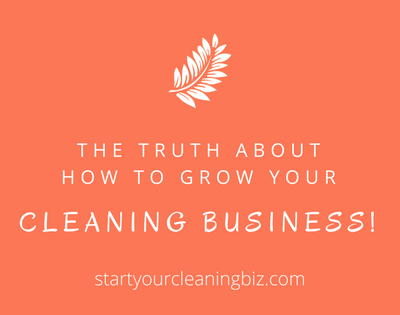 Growing a cleaning business sounds easy on paper. Just throw around some business cards and flyers then, voilà, instant profitable cleaning business. But it's going to be a bit more complicated than that. To grow a cleaning business you need to build trust with potential customers. So here’s how to do just that! Potential customers are going to check you out. Everyone has a horror story about a bad business, and the cleaning industry has more than its fair share of businesses that don’t live up to expectations. So, before customers spend their hard earned money on a cleaner, they look for two things. One is recommendations from people they trust. They will ask their family and friends for ideas on good cleaners to employ and they may also get advice from Facebook groups. Personal recommendations are the most powerful way of finding a good cleaner because our reputation is attached to it. People want to be helpful and known as a great, go-to friend. Google is the other method they use. Last time you were looking for a new service, chances are you googled it. Worried about a service that sounded a bit like a scam? Google the business name and scam. Instant answer. Within a few minutes customers can check you out thoroughly online. They can see your Facebook page, website (or lack of one – red flag!) twitter account and any reviews that previous customers have left about you, good or bad. It only takes a few seconds for customers to decide whether or not they trust you simply by looking at your website! Is it old and out of date? Lacks information about what you do? Doesn’t tell them anything about what they can expect when they sign up for your service? Preempt them and Google your name and business. What comes up? Does your Facebook account have strong opinions or posts that may be found offensive? All of these issues are very easily fixed. Use privacy controls to limit what the public can see. Now, I’m not saying that you have to spend thousands of dollars on an amazing new website! There are alternatives that you can easily build for free, like Weebly.com for example, that look professional. The most important thing is to preempt and answer the customer’s needs and concerns. Tell them how they will feel after you have cleaned and how it will make their life easier. It takes persistence and confidence to grow your cleaning business. Especially when you first start, you will get a number of rejections. Customers might be looking for the cheapest cleaner available. You should never work for less than the minimum wage. Ever! It’s bad business, you’ll end up frustrated and feeling exploited and won’t last long. Sometimes you'll find customers that want more than just a cleaner (read ‘slave’). Occasionally you'll find grumpy, difficult customers that your instinct tells you not to take on. Listen to that inner voice and run! It absolutely takes persistence and a sales plan. Consider what time of the year customers will be looking for a cleaner. The busiest time of the year for window cleaners is December. The key to a good sales conversation and ongoing customer relationship is that it's about them, not you. So listen a lot more than you talk. Find out what is important to them. Why are they looking for new cleaners? What do they feel makes a good cleaner? If you can show that you are genuinely interested in providing a great cleaning service and that you care about their business, they will trust you. And often be happy to pay a bit extra to keep you. Check in regularly with them to make sure that they are happy with your service. Is there anything that needs to be improved? Sometimes it can be the most surprising small things that they are concerned about that you would never have thought about! Meet that small need and there you have it, happy customer. Happy customers are more likely to tell their friends about you too. So it’s a win/win all round! It's not hard to stand out. Service providers are notorious for being late. Ever arranged for a repair job on your internet service? How did you feel when they said the technician would arrive somewhere between 9am and 4pm. Then they get to your place at 5, or worse, didn’t turn up at all! So if you arrange to do your cleaning job at a certain time and day, make sure you are there. Smile and be friendly. That doesn’t mean being their new best friend, but it does mean following social norms like taking a polite interest in their business or home and being respectful. Show that you are happy to meet them and learn more about how you can help. Dress well in smart casual clothes. If you have a top with your logo on it, make sure you are wearing it. Have a clean, neat car that looks roadworthy! Show that you take your cleaning business seriously and your customers will take it seriously too. And trust you. Every time your customers have contact with your cleaning business they should have a great experience. You should ooze professionalism and expertise. That begins with your website and continues with each email, phone call and clean. When you first meet with potential customers, do you have information that you can give them? You might have a FAQ sheet for them with information about your service or an official looking quote form with detailed questions that you take notes with. Do you have a quote app that you use on your smart phone that you can email to them straight away? How do your invoices look? Do you send them on time? Do you leave behind a business card or feedback form every time you clean out of hours? You will stand out from other cleaning businesses who don't care as much about what they do. It is immensely satisfying to grow a cleaning business with customers that know and trust you. And the key is to care about the people and businesses you clean for. It takes persistence and a bit of strategy, but it is totally doable! 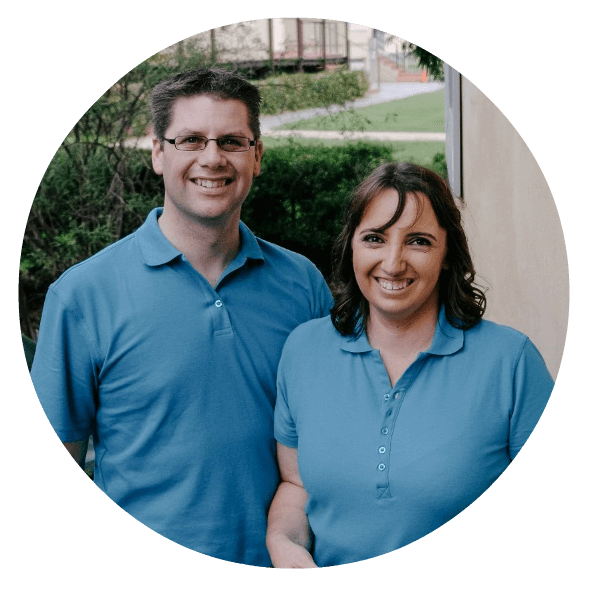 We are the Kimber family and manage our very own successful cleaning business. Within six months of starting we were supporting ourselves in Sydney, one of the most expensive places in the world to live. Over the years we have helped people like you start and succeed in their own cleaning business. 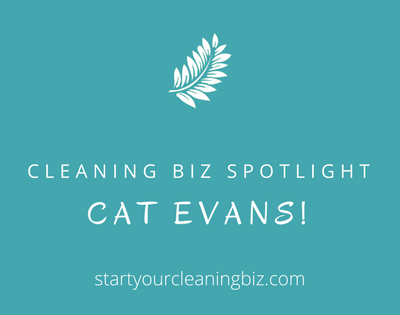 We would love to help you too through our new Start Your Cleaning Biz Community starting soon! 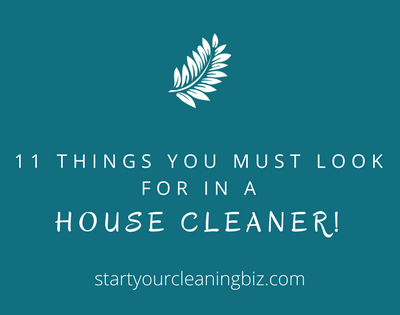 14 Days to Start Your Cleaning Biz Checklist! Get the best start possible for your Cleaning Biz and start earning money! Love what you have read? 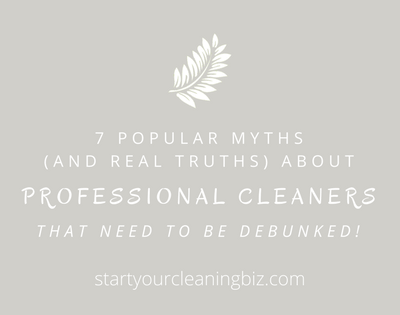 7 Popular Myths (and Real Truths) about Professional Cleaners that need to be Debunked! 101 Ways to Get Clients for Your Cleaning Business! 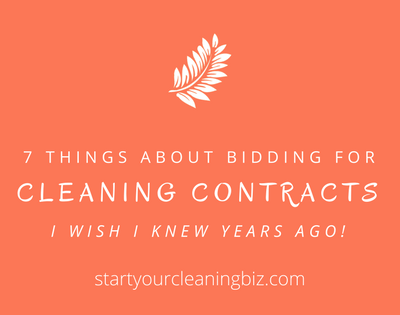 7 Things about bidding for cleaning contracts I wish I’d known years ago. 11 things you must look for in a Professional Cleaner. 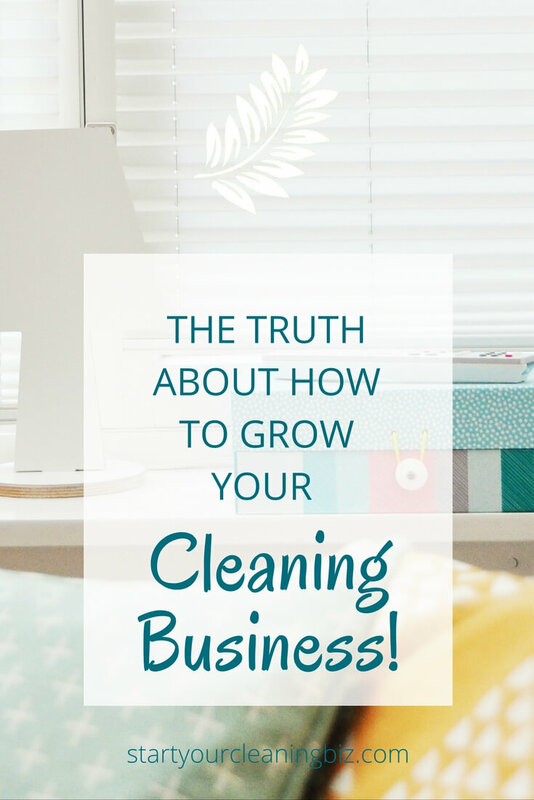 The Surprising Benefits of Having Your Own Cleaning Business! 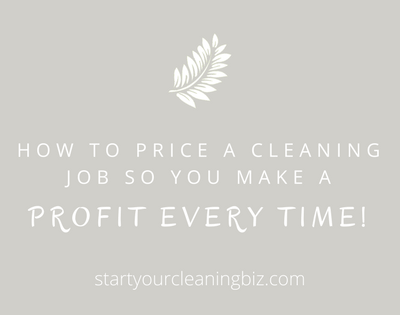 How to Price a Cleaning Job so you make a Profit Every Time! 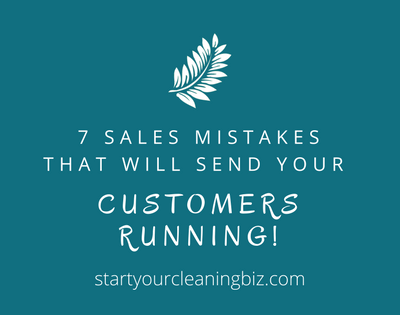 7 Sales Mistakes that will Send Your Customers Running! Cleaning Biz the right way? 14 Days to Start Your Cleaning Biz!